VIX has been on the rise over past 2 sessions. 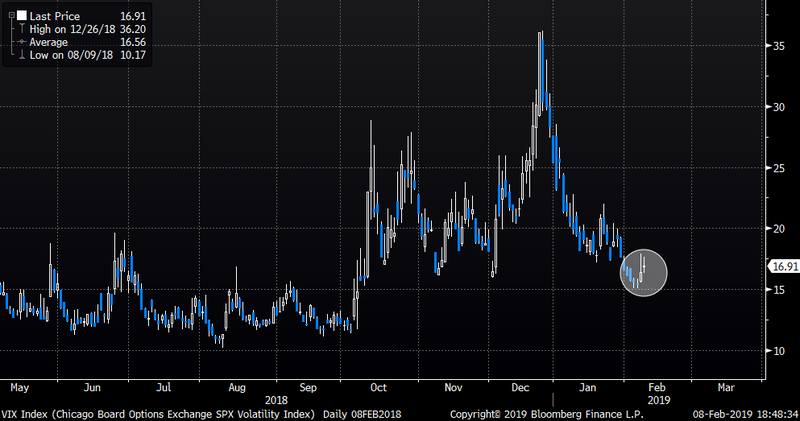 We are far away from the extreme moves we saw during the autumn, but it surely doesn´t take much for VIX to start spiking. Below charts shows the 2 versus 8-month VIX futures spread. 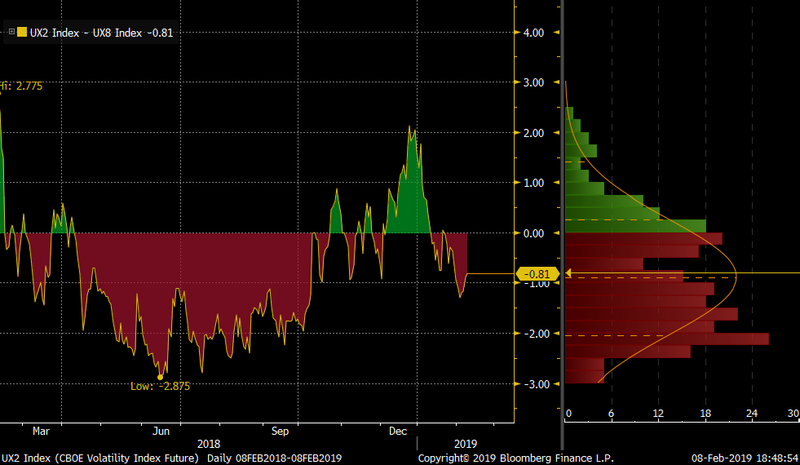 The ratio has gone into negative territory as markets went higher and vols came off, but note the current snap higher. Last time the VIX curve traded here was in mid-January when the SPX traded at 2620 ish. There is (still) no great narrative for a proper move lower, but this could quickly change. For now, the SPX has managed turning right on the 200-day average, and is currently just below the 2700 level. The DNA of all major SPX sell offs and the following months pattern was explained on several occasions ( read here). 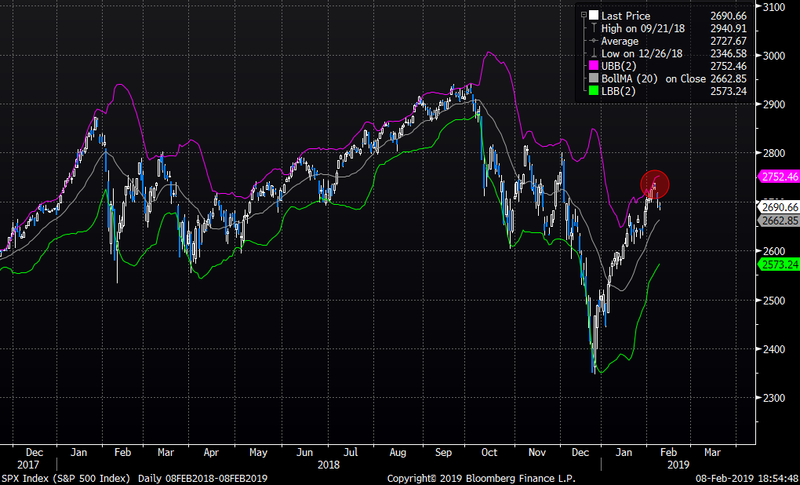 SPX has so far turned at the upper band of the Bollinger band. Coming days will be very interesting to watch. 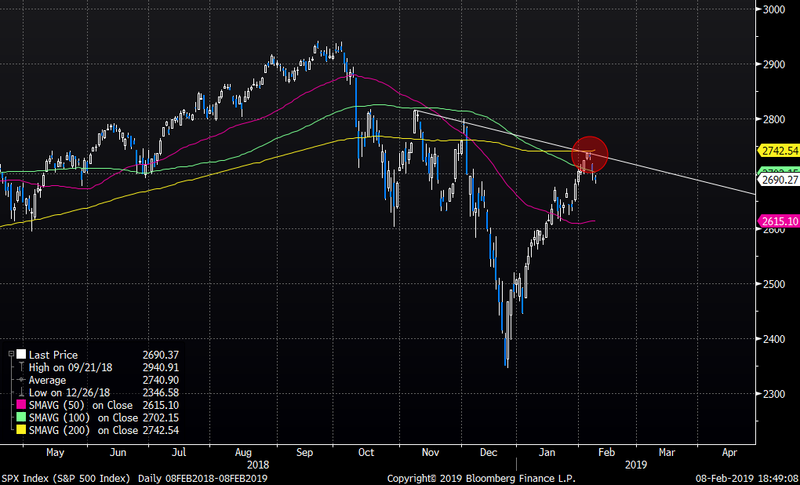 Will the SPX continue the DNA pattern or is this time different?